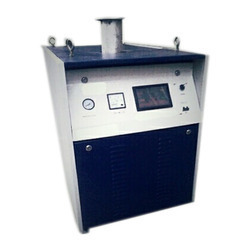 Leading Manufacturer of hot water boiler, diesel fired boiler, boiler and industrial hot water boiler from New Delhi. 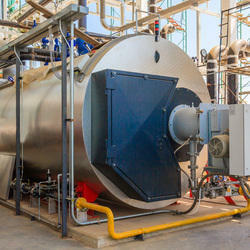 We are a leading name in meeting the demands of Diesel Fired Boilers. These are made available by us in mini diesel fired boilers, medium as well as jumbo model options and successfully cater to varied demands of customers. The professionals who work with us also ensures these are manufactured using premium quality mild and stainless steel that provide in them superior performance standards. With fully automatic operations, these come fitted with imported burner for efficient performance. Further, these boilers also come equipped with imported high pressure water feed pump, pressure switch and safety valves for smooth performance. We have gained expertise in delivering a quality range of Boiler that is made from steel or wrought iron. The Boiler offered by us are used for heating water or fluid which is used in various processes or heating applications. Our range of Boiler use combustion of fuels such as wood, coal, oil or natural gas as their heat source. The entire range of these Boiler is also installed with safety steam valves. Clients can avail these Boiler from us at industry leading prices. Our organization specializes in offering qualitative range of Steam Boiler. Our range of these steam boiler is widely recommended across the globe for its high combustion efficiency and is used in various industrial heat applications. 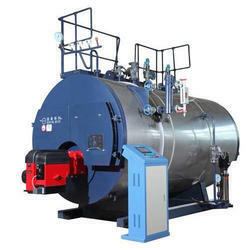 We offer these Steam Boiler in both coil type as well as shell type designs. 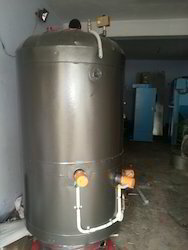 These Steam Boiler offered by us are available in different capacities.